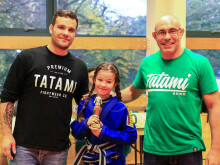 Monday 30 November – Basingstoke School of Martial Arts hosted the final Southern England Kids BJJ (Brazilian Jiu Jitsu) League event on Sunday 29 November, sponsored by BJJ fight-wear company Faixa Rua, at which the Southern England BJJ Champions were announced. 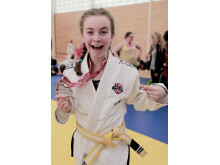 More than 50 competitors aged between 5 and 16, both boys and girls, competed to win titles in their respective categories, with competitors travelling from across southern England. 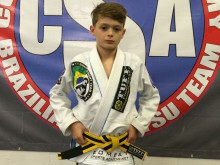 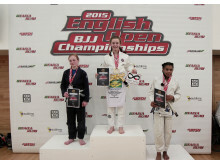 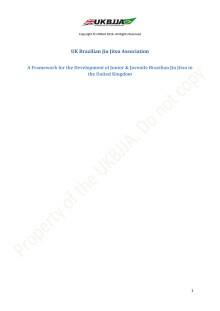 This was the final event in a series of monthly competitions held under the auspices of the UK Brazilian Jiu Jitsu Association (UKBJJA), the sport’s governing body elect. 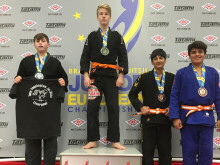 Now in it's second year, individuals compete to win medals in their categories at the regular competitions but at this final event of the year the titles for the Southern England BJJ Champions were also on the line. 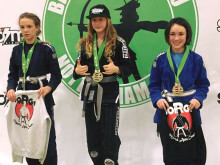 After a day of hard fought contests, 4 young champions were crowned. 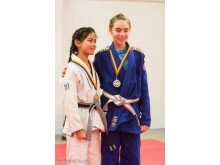 Ke Jhen Peng and George Baker took away the awards for the top boy and girl in the under 40kg category; and Billy Hayes and Holly Collins were crowned over 40kg boys and girls champions. 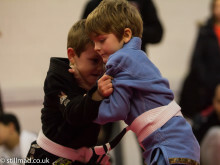 Courtesy of Faixa Rua and the UKBJJA, the juniors received a new gi and will gain free entry to every Southern England Kids BJJ League (SEKBL) event in 2016. 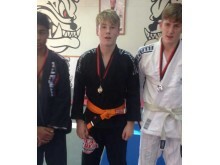 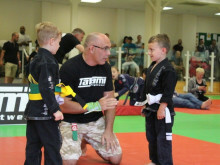 Liam Puttock received the special Fair Play Award for the competitor judged to have consistently displayed respect to their opponents, referees and staff at the event, to have consistently practiced good Jiu Jitsu and fought hard with a smile on their face. 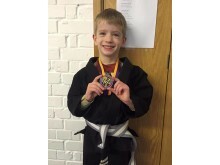 Liam has attended every event for the last two years and went home today not only with the Fair Play Award, but also his first gold medal. 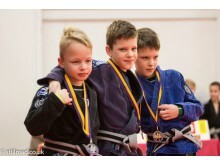 A good attitude and respect for other competitors and teams are key values promoted by these monthly leagues, which are designed to provide a safe, supportive and friendly arena for juniors to gain experience in competition. 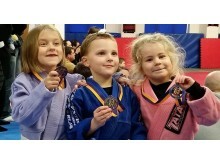 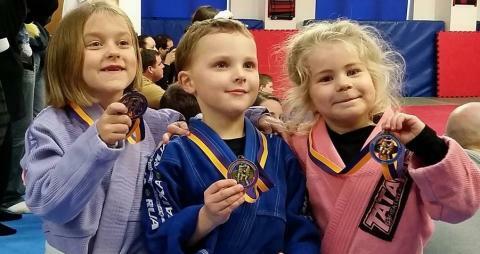 The organisers, children and parents all take a break now until February when the Southern England Kids BJJ League starts again but Gary Howe, tournament director remarked: “Thank you to everyone who supported this year's Southern England Kids BJJ League. 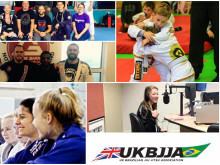 Parents, clubs, coaches and volunteers you have been amazing.” A similar series of events has run in Wales this year, the Welsh Kids BJJ League, and with new leagues starting in the South West, East, North West, North East and Scotland in 2016, the future looks bright for junior BJJ in the UK.